Women are a powerful group–and despite what certain bloggers say–that includes those who marry and raise kids. Today, women control almost 3/4 of America’s wealth, about $19 trillion from inherited and earned assets. Women are gathering assets by working, marrying and inheriting. The question that needs to be asked is–not whether you stay at home, or follow your dreams to a high powered career–but can you handle being in control of the world’s wealth? On the flip side, many women are very financially savvy and they make the investment decisions early on. I know a doctor’s wife who handles their medical office bookkeeping and has taken extensive courses in investing. Her husband is the one that doesn’t have a clue about banking or investing. This entry was posted in Aging, Women and tagged Financial Planning, inheriting the world's wealth, taking charge of your finances, woman and money, woman and wealth by bleuwater. Bookmark the permalink. I really think that financial stability is extremely important. 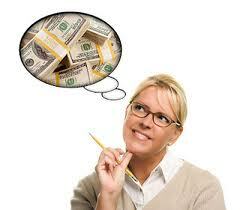 I am a mom and It is important to have knowledge of saving money for your childrens future.